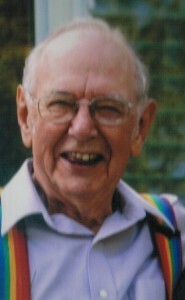 Bill (William) H. Dyke, 83, of Warren, PA. died Sunday morning, October 30, 2011 at his residence. He was born in Warren, PA. on March 18, 1928 to the late George H. and Mary Lee E. Seekings Dyke. He grew up in North Warren and in his high school sophomore year started working at the former Harvey and Carey Drug Store where he became an Apprentice Pharmacist. He attended the University of Buffalo with original intentions of becoming a Pharmacist but abandoned that for a career in business and marketing. He joined Household Finance Corporation in Erie and later served as manager of the Meadville and New Castle, PA. offices doubling the size and volume of both offices under his leadership. In 1956 he organized and founded Try-M Finance in Warren at 210 Liberty Street where over the next twenty years the company grew to nine offices in Northwest PA. communities. The finance company was sold to First National Bank of Mercer in 1976, which changed the name to FNB and still operates the branch from the original location. In 1962 he and four others acquired Hillcrest Development Corporation, a 300 acre plot in North Warren. Four of those had built the only existing homes in the development area. He served as business manager, secretary-treasurer with new homes continuing to be built resulting in the Hillcrest area today. The BBDD Oil Company was formed where he served as President resulting in a producer being acquired for an unused area of the development. During that same period he with others built the first Ponderosa Steak house in Meadville as well as a building for American General Life Insurance. In 1968 under the name of W.H. Dyke, Financial Enterprises he acquired property now occupied by the expanded Thorne’s BiLo Market. In 1973 he acquired O.K. Service and Sunset Mobile Home Park in North Warren. In 1975 he and partner Howard Jarvis established a Laundromat, Cottage Cleaning Center on Pennsylvania Ave property he had earlier acquired. The building and business were lost in a multi building fire at Reliable Furniture Company in 1976. Dyke proceeded to acquire the adjacent properties of Reliable and Daley’s Diner where he with a Meadville Associate brought the first Burger King Restaurant to Warren. In 1976 he helped organize and charter the original Cargo Auto Parts Co. in a building he owned in North Warren. Following the sale of Try-M Dyke pursued a dream to become an Instructor Trainer of Dale Carnegie Courses. After a year of preparation and training in Pittsburgh he embarked upon a career that covered 32 years and one hundred fifty 12-14 week classes across the northern part of Pennsylvania. Graduates numbered nearly 6,000. During that period Dyke influenced and helped train about a dozen Instructors. In 1981 he was honored by being chosen Instructor of the Year. In 2007 he was inducted into a group known as “Elite Seven” Instructors and in 2008 was inducted into the Carnegie Instructor Hall of Fame. I was so sorry to hear of Bill’s passing, He sure was a great man and will be missed by many. My prayers are with your family. I saw Bill a while back when shopping at Wal Mart and we had a nice talk, he sure kept upbeat for what he was enduring at the time. Dear Sharon and Tony, so sorry to hear of your loss. Our deepest sympathies. Will keep you and your family in our thoughts and prayers. Carol and I extend our deepest sympathies for the loss of your father. I am sure he will be missed, but not forgotten. May the grace of God be with you and your family. Please accept our condolences. We have known Bill for many years and he will sureiy be missed. Condolances to the family from an OLD friend, formerly from Bear Lake, now from Sequim, WA. Just wanted you to know of hoe much I enjoyed your father as we traveled route 27 to Titusville to attend the Congregational Life Committee meetings for the Lake Erie Presbytery. Bill had a very uplifting way about him that infected those who came into contact with. You have my deepest sypmathy for your loss that is a loss for everyone who ever knew him.